Ghana will be importing its first Liquefied Natural Gas (LNG) in the first-quarter of 2017. “First gas imports are estimated at end of first-quarter of next year,” Chief Executive Officer of the Ghana National Petroleum Corporation (GNPC), Mr Alex Mould said on Monday in Cape Town. According to him, GNPC has been in discussions with some LNG traders towards that end. “GNPC will be buying the LNG from traders, mostly on a short-term basis because there is an abundance of LNG. We are talking to Qatargas, BP, Shell, Woodside, the usual suspects, to enter into some sort of agreement with them,” Mr Mould said at an oil and gas conference. The state oil firm of the oil-producing West African country, according to Mr Mould, is looking forward to buying between 250 million and 500 million standard cubic feet (SCF) of gas per day for power generation. According to The Maritime Executive, two import terminal projects are planned in Ghana. Norwegian shipping company Golar LNG has already supplied a floating terminal to the Atlantic coast port of Tema, but sources said there are logistical issues causing uncertainty over when it will start up. Golar LNG and West African Gas Limited (WAGL) said last year that a contract was signed for the provision of the 170,000cbm newbuild FSRU Golar Tundra for an initial period of five years with the option for WAGL to extend for a further five years. He said officials would be viewing the FSRU, built by South Korea’s Samsung Heavy Industries, in September with “hook-up” plans already in place to help ensure ship-to-ship LNG transfers. The Ghanaian subsidiary of Quantum Pacific, the industrial investment group owned by Israeli billionaire Idan Ofer, also plans to install a second terminal at Tema. That terminal was initially due to arrive at the end of 2016, but now looks set to slip into 2017 or 2018 given it still has not secured access to a terminal, industry sources said. Meanwhile, energy think tank African Centre for Energy Policy (ACEP) recently said in a statement that the WAGL LNG project (sponsored by Sahara and NNPC) is legally, economically and technically bad for Ghana, compared to the Quantum Power (QPR) LNG project (sponsored by a joint venture involving UK, Ghanaian company investors and GNPC). The WAGL is proposing to supply 180 mmscf per day, while QPR proposes 250 mmscf per day. Both projects involve the deployment of a Floating, Storage and Regasification Unit (FSRU). 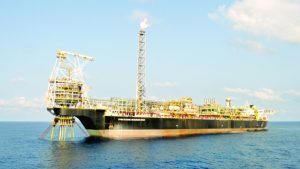 The Tema LNG Project will have the scalable ultimate capacity to receive, store, regasify and deliver, at steady state, of about 3.40 million tons of LNG per year, equivalent to 500 million standard cubic feet of gas per day, utilising a state-of-the-art dedicated floating storage and regasification unit (FSRU) moored off-shore Tema. An associated sub-sea and onshore pipeline will deliver the natural gas to GNPC and its customers onshore. The Tema LNG Project, comprising a capital outlay of over $550 million, will be implemented on a build-own-operate-transfer (BOOT) basis with the assets transferring to GNPC after the Project’s 20-year term. However, an analysis done by ACEP said in terms of pricing, value for money, security of LNG delivery, access to the FSRU Vessel among other economic and issues, Ghana’s parliament should ratify the QPR deal ahead of that of WAGL. ACEP said the prices quoted for the use of the facility when delivered show a material difference that has implications for value for money. “GWGL in its contract proposes for parliamentary approval a regasification unit cost of $2.20 /MMBtus. By contrast the Quantum project providing the same service charges $1.47 /MMBtus. The difference of $0.53 when multiplied by the volume through-put of the projects translates to $65 million of savings on the quantum project. This is the additional cost that will be imposed on Ghanaians if the WAGL option is selected”, ACEP advised. GNPC announced that its LNG terminal project with quantum power would be located 12 kilometers off Tema’s shore to allow for cost-efficient refueling and regasification without affecting maritime and port traffic. Further, its project is being designed to address the specific maritime challenges in the Gulf of Guinea, while assuring optimal year-round operability. ACEP said per its review of the WAGL contract, “its terminal on the other hand will be moored inside the Tema Port. This may reduce the cost of the project as pipeline cost will be reduced. However, this cost saving will be more than neutralised by the necessity to expand the Tema Port to accommodate an FSRU, expected to cost about US$250 million and which could take 3 years to accomplish further delaying LNG supplies”. i. It is not possible to safely evacuate gas from inside the Port to power stations that need it through the densely built up and populated harbour area. The risk to life and limb, to property and the environment is too high to be countenanced. ii. It is not possible to berth a standard FSRU in the Tema Port without dredging the harbour – a time consuming and expensive operation. iii. LNG operations would disrupt the Port’s container business for as much as 12 days in every month if an FSRU is berthed in the Port. This could cost the Ghana Ports and Harbours Authority and Ghana’s already dire fiscal challenges. As far as security of LNG delivery is concerned, ACEP said the need to ensure uninterrupted supply of LNG for the maximum utilisation of the facility cannot be overemphasised. “This requires the raising of Letter of Credit (LC) to guarantee payment for LNG. This again shows material difference in the value for money of the two projects. The WAGL project requires that the Government of Ghana would raise US$140 million LC. On the other hand, Quantum requires GNPC to raise an LC equivalent to US$75 million, which will further be supported by the African Development Bank’s Partial Risk Guarantee,” it added. 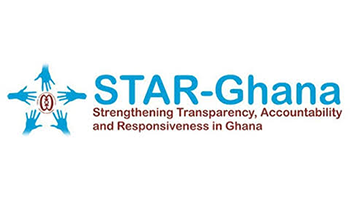 The energy think tank also identified a few legal challenges with the WAGL deal as follows: “WAGL has already brought in an FSRU docked at Tema. This is notwithstanding that the Agreement covering the project under which the vessel has been brought is an international agreement and has not yet been ratified by Parliament contrary to Article 181 (5) of the 1992 Constitution. Even if Parliament approves the agreement in future, it cannot take retroactive effect given that performance under the Agreement has already commenced. To the effect that a constitutional requirement has been violated by the commencement of performance, the Agreement can be said to be illegal at inception”. In terms of the economics of the project, ACEP said: “Given that the FSRU cannot receive LNG over the next six months or more due largely to lack of infrastructure to moor the vessel and the difficulty of a fiscally challenged government to raise an LC of about US$140 million to guarantee LNG imports, we are at a loss as to what informed the bringing in of the vessel leased at US$40 million to idle at the Tema Port for months. This certainly does not make commercial sense”. Ghana has faced power challenges for the past four years and after several efforts at resolving the problem, we are still not seeing an end to it. The problems are three-fold – generation, fuel security and distribution. Generation has stepped up a little but fuel insecurity has not enabled the full-exploitation of installed generation capacity. Akosombo and Kpong power stations are suffering from low water levels, while thermal plants do not have enough natural gas to fire the plants. Future expansion in generation will be from thermal sources, making fuel security the more urgent need for the power sector. 3. Sankofa is expected to bring gas on stream by 2018, which remains uncertain for now. However, there are upsides potential in the medium term if TEN gas is successfully commissioned later this year and Sankofa eventually delivers gas as scheduled. In spite of these prospects, estimates of gas consumption for meeting current needs and future needs will not be met by these supply sources. Ghana will require an alternative supply source to complement gas supply; and this is why LNG alternative has been lauded by all including us. However, the trend in demand and supply of gas also calls for caution in sourcing LNG projects. It is for this reason; we are alarmed that Government is considering the deployment of two LNG projects at the same time, which together will provide a regasification capacity of more than 500 mmscf. These projects are – the West African Gas Limited (WAGL) project (sponsored by Sahara and NNPC) and the Quantum Power (QPR) project (sponsored by a joint venture involving UK, Ghanaian company investors and GNPC). The WAGL is proposing to supply 180 mmscf per day, while QPR proposes 250 mmscf per day. Both projects involve the deployment of a Floating, Storage and Regasification Unit (FSRU). Parliament has been asked to consider and ratify an agreement between the Ministry of Power and WAGL for the provision by WAGL of an FSRU to enable the country to use LNG as fuel for the country’s power sector. This analysis by ACEP examines the value of the two projects as well as their distinguishing features to assist Parliament and the Government to take the right decision. First, the projects could help the country address the power challenges when successfully delivered. The president also said in respect of the joint venture between Quantum Power and GNPC at a press conference in the Flagstaff house that “There are technical issues in there and even when it operates normally, it operates in a very unpredictable manner. As I speak, the Chief Executive of GNPC and a company called Quantum are in Qatar to discuss the issue of a Floating Storage Regasification Unit (FSRU) – a floating barge which uses liquid and natural gas.” (http://www.graphic.com.gh/news/general-news/56146-fuel-issues-to-blame-forcontinued-dumsor-mahama-reveals.html#sthash.C92VLuEt.dpuf). These statements by the President underscore the importance of an LNG infrastructure to Ghana’s efforts at addressing the power sector challenges. Second, although Ghana needs LNG to supplement indigenous gas, Ghana’s gas market though expected to grow will still not be large enough for 2 FSRUs serving the Tema power enclave. Therefore, value for money for Ghanaians will be compromised if the two projects are implemented at the same time. There must be an urgent choice between the two projects in terms of value for money, feasibility and the pursuit of the national interest. Parliament must, therefore, consider the comparative value of the two projects before any consideration and ratification of any of them. Our analysis, based on the contracts sighted by ACEP show the following material differences between the two projects. The Quantum power model is a joint venture between a UK company, Ghanaian company and GNPC. GNPC has equity interest of 20% of the project from financial close. Further, the project is under a Built, Own, Operate and Transfer (BOOT) arrangement that allows the transfer of the assets to GNPC. The BOOT arrangement presents greater benefits to the nation, as the infrastructure will be transferred to GNPC after the cost of investment has been repaid with profit. 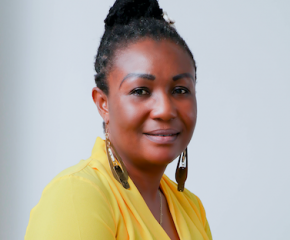 The model by WAGL on the other hand is under full ownership by the sponsors and there is no provision for any transfer at any point in the project to any Ghanaian interest. Therefore, whilst one model is a commercial vehicle, the other provides a long-term economic vehicle for GNPC and Ghana. In this respect, it must be noted that government has vigorously defended GNPC’s financing of Letters of Credit for the karpower project on grounds that GNPC will be supplying fuel to the plant, thereby justifying GNPC’s interest in the project. Government may want to remain consistent in its view on promoting GNPC’s interest given that GNPC has direct equity interest of 20% in the Quantum model. This will also be consistent with the role of GNPC as National Aggregator. The Government announced in November 2014 that it had appointed GNPC national gas aggregator so that it could optimise gas supplies to the economy. 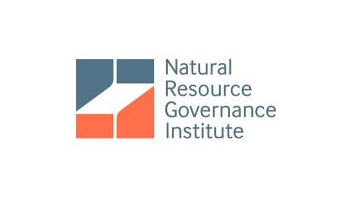 A national aggregator system however cannot work if the aggregator does not have all gas under its purview. The prices quoted for the use of the facility when delivered show a material difference that has implications for value for money. GWGL in its contract proposes for parliamentary approval a regasification unit cost of $2.20 /MMBtus. By contrast the Quantum project providing the same service charges $1.47 /MMBtus. The difference of $0.53 when multiplied by the volume through-put of the projects translates to $65 million of savings on the quantum project. This is the additional cost that will be imposed on Ghanaians if the WAGL option is selected. GNPC announced that its LNG terminal project with quantum power would be located 12 kilometers off Tema’s shore to allow for cost-efficient refueling and regasification without affecting maritime and port traffic. Further, its project is being designed to address the specific maritime challenges in the Gulf of Guinea, while assuring optimal year-round operability.(see:http://www.businesswire.com/news/home/20160209005268/en/Ghana-National-Petroleum-Corporation-Quantum-Power-Agree). Per our review of the WAGL contract, its terminal on the other hand will be moored inside the Tema Port. This may reduce the cost of the project as pipeline cost will be reduced. However, this cost saving will be more than neutralised by the necessity to expand the Tema Port to accommodate an FSRU, expected to cost about US$250 million and which could take 3 years to accomplish further delaying LNG supplies. The need to ensure uninterrupted supply of LNG for the maximum utilisation of the facility cannot be overemphasised. This requires the raising of Letter of Credit (LC) to guarantee payment for LNG. This again shows material difference in the value for money of the two projects. The WAGL project requires that the Government of Ghana would raise US$140 million LC. On the other hand, Quantum requires GNPC to raise an LC equivalent to US$75 million, which will further be supported by the African Development Bank’s Partial Risk Guarantee. The WAGL has advantage for having brought in an FSRU by name Tundra that is currently docked at Tema. This could assure the Ghanaian government that the WAGL project is more feasible. However, there are technical, legal and economic challenges associated with this argument. v. a metering station in Tema that will allow both supplier and purchasers to measure exactly how much gas has been delivered must be designed, ordered, fabricated, delivered, civil engineering works conducted and equipment installed. All of this will take 9 months to a year. Having an FSRU at Tema when none of this is in place is poor project management and unnecessary expenditure, which someone must pay for – ultimately the people of Ghana who will pay for the electricity, generated with the fuel delivered by such a project. WAGL has already brought in an FSRU docked at Tema. This is notwithstanding that the Agreement covering the project under which the vessel has been brought is an international agreement and has not yet been ratified by Parliament contrary to Article 181 (5) of the 1992 Constitution. Even if Parliament approves the agreement in future, it cannot take retroactive effect given that performance under the Agreement has already commenced. To the effect that a constitutional requirement has been violated by the commencement of performance, the Agreement can be said to be illegal at inception. Given that the FSRU cannot receive LNG over the next 6 months or more due largely to lack of infrastructure to moor the vessel and the difficulty of a fiscally challenged government to raise an LC of about US$140 million to guarantee LNG imports, we are at a loss as to what informed the bringing in of the vessel leased at US$40 million to idle at the Tema Port for months. This certainly does not make commercial sense. ACEP is of the view that considering the size of Ghana’s power sector challenges and the contributions of uninterrupted power to industrialisation and the general economic development of the country, both projects are important for Ghana. However, we do not support the deployment of the two projects at the same time, as that will undermine value for money, impose undue burden on government and the people of Ghana. Between the two projects, it is our considered opinion that the Quantum project provides comparative economic justification to be selected. 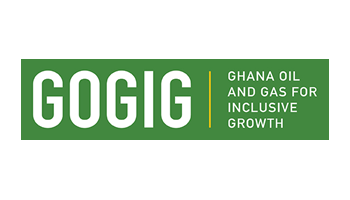 The incentives given to WAGL cannot be justified when the alternative is better; respects Ghanaian regulations and operates in existing framework – no government guarantees, lower user fees and ultimately a transfer of infrastructure to the state through GNPC in a BOOT arrangement.